Portrait Plasma skin regeneration is one of the most important advancements in cosmetic skin treatment in decades. Whether treating an area damaged by sun or an area where wrinkles have developed, Portrait Plasma creates healthier skin with continual aesthetic improvement. Portrait Plasma uses nitrogen plasma, a modern energy source that gives birth to new skin. It’s the only treatment proven to generate new skin for as long as a year after treatment. Plasma has the unique power to smooth away wrinkles, eliminate brown spots, brighten, tighten and tone your skin – all at the same time. To view before and after Portrait Plasma photographs click here. All treatments require the brief application of a topical anesthetic before the procedure. Dr. Byrd may decide that a small injection of local anesthesia is appropriate if you are only having a small area to be treated. You may experience a sensation of heat during the brief procedure. Generally, a full face treatment can be completed in 20 to 30 minutes. Portrait Plasma uses plasma energy to produce a unique thermal response at and below the skin’s surface. This stimulates significant remodeling of the skin’s architecture, replacing old damaged collagen with significant amounts of new collagen and replacing the damaged elastin tissue. Plasma is a gas in which atoms have been ionized or stripped of electrons. Portrait Plasma delivers plasma energy, a unique thermal energy, without direct contact with the skin through a handpiece. The thermal energy is uniformly absorbed by the skin, creating the right conditions and natural growth factors for new collagen and continuing skin regeneration for a natural, more youthful appearance. The results will be seen almost instantly. Additionally, one of the unique characteristics of Portrait Plasma is that your skin will show continual improvement over time. You will see improvements in skin texture and tone with reduced fine wrinkles at lower levels of treatment. At higher levels, you will see reduced deep wrinkles, and overall tightening, in addition to all the other improvements seen at the lower level. As the changeover to regenerated skin occurs, the overall improvement of skin quality will be quite evident. Post-treatment care is easy and requires no down time. Even with the most intense treatment, it usually takes just over a week for skin to be restored. 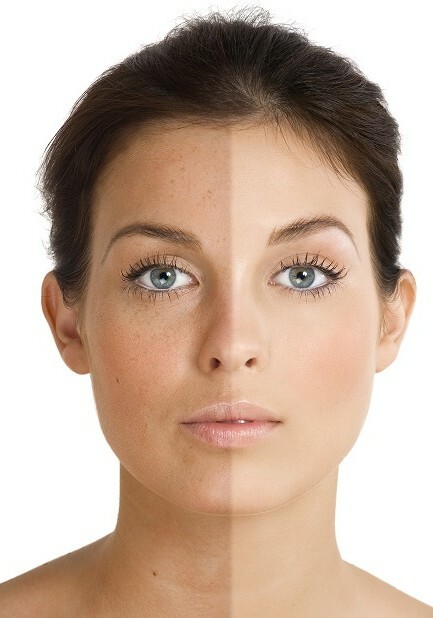 You will be advised to wear sunscreen for several weeks after your treatment to protect your skin. Depending on the level of treatment, Dr. Byrd may offer specific instructions to maximize your results. There are no risks associated with Portrait Plasma treatment; however, some redness may occur. We have worked hard to create a warm, inviting office environment, where you will feel comfortable and relaxed throughout your Portrait Plasma treatment. If you would like additional information about other procedures performed at Byrd Aesthetic and Anti-Aging Center, please contact us at 866/671-5633 to schedule a consultation with Dr. Byrd.